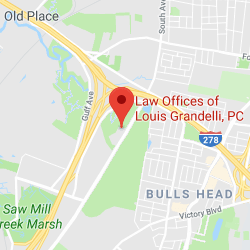 Intersection Car Accidents | Law Offices of Louis Grandelli, P.C. Turning left or right without taking all proper safety precautions and failing to yield the right of way to another vehicle can lead to side-impact or “T-bone” collision. Following too closely can result in rear-end collisions. 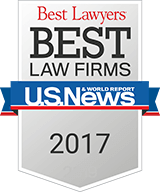 At our firm, once we are hired, we will immediately go to the scene of the accident when necessary to gather critical evidence. In certain cases, there may be surveillance video that is in the vicinity which depicted the accident and provide unequivocal proof that the accident was caused by the party we are suing. Photographs of the vehicles are extremely important for a number of reasons. First, photographs will show the point of contact to the vehicles which may assist in proving that the other driver was negligent. For instance, if the damage to our client’s car is towards the rear, it can often be effectively used to prove the other car was speeding, or that there was a failure to brake in time. Second, photographs taken to the inside and outside of the car, will also demonstrate the severity of the impact and assist us in proving the extent of the injuries to our client. Third, photographs of the roadway can also show skid marks indicating that the car which struck our client was speeding. Fourth, photographs can also show defects either in the roadway or with the traffic control devices. 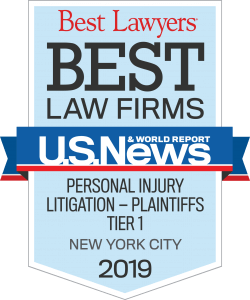 For instance, if the roadway is negligently designed or maintained or a traffic control device such as a stop sign is missing, it may assist us in establishing liability against New York City or New York State. 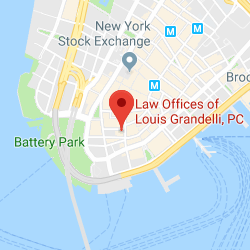 At Law Offices of Louis Grandelli, P.C., our tremendous experience in handling intersection car accidents has enabled us to obtain numerous significant recoveries including the following: $1.4 Million (Staten Island woman); $1.3 Million (Staten Island accident); $1 Million (Brooklyn man); $650,000(Brooklyn woman); $580,000 (Bronx woman); $550,000 (Brooklyn woman); $500,000 (Staten Island man) and $500,000(Staten Island man). We have obtained numerous significant recoveries for our clients who have been seriously injured in intersection car accidents. If you or a loved one has been injured in an intersection collision, contact us. We will give your case the individual attention it deserves.